Sonam Yangtsho shed tears of joy as she beat her opponent Sonesavanh from Laos at the ongoing 18th Asian Games in the Indonesian capital Jakarta yesterday. But the 18-year-old athlete’s happiness was short-lived. 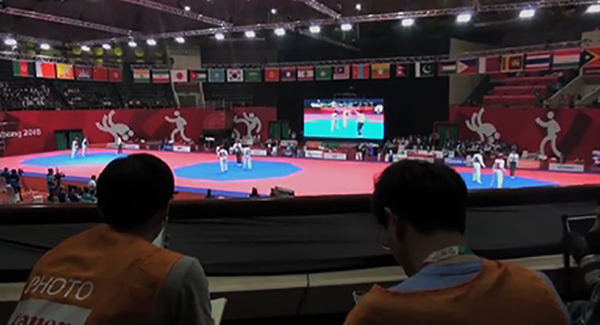 She faced Zhang Mengyu from China next in the less than 67-kg category. Zhang Mengyu is world number one in taekwondo and easily defeated Sonam Yangtsho. “I would say she played well and, of course, it would be hard to win because her opponent is a world champion,” Taekwondo Coach Pem Choki said. Meanwhile, Tenzin Dorji lost to Sagar Guvaju from Nepal in the under the 58-kg category. Although Tenzin led the match in the beginning, Nepal’s Sagar took over in the second and third rounds. The Bhutanese re-curve archery team will compete tomorrow followed by the compound team. 24 Bhutanese athletes are representing the country at the games. They are competing in archery, boxing, golf and taekwondo.